Update: I recently posted an updated version of this list. It's much more printer friendly, and doesn't have the year on it. Check it out here. This project was totally inspired by all of the summer bucket lists that I've seen floating around on pinterest. Now, I need to take a minute to once again declare my love on pinterest. Are you on there yet? I l.o.v.e. it. (If you need an invite to join leave me a comment with your email address and I'll send you an invite.) You can see my pins here. 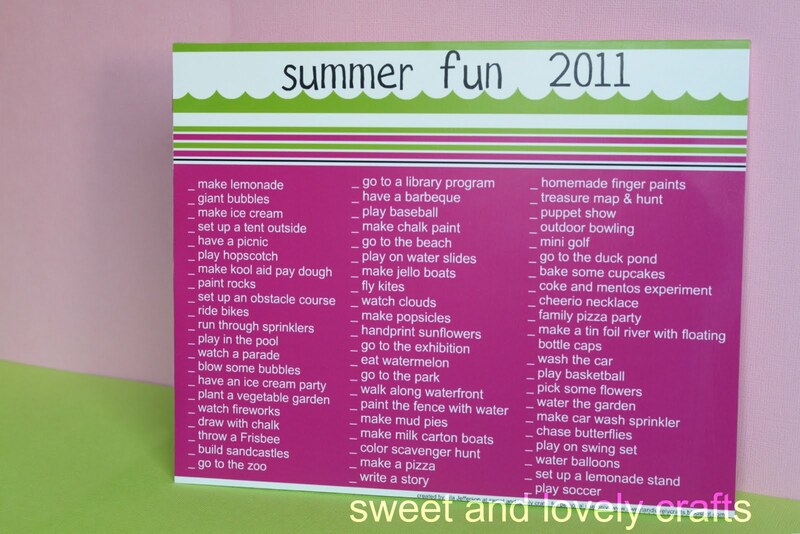 I love the idea of having a list of things to do with the kids this summer. Last summer I had wanted to do some of these things with the kids, but somehow the summer passed and we didn't get a chance to do half of them! I've seen lots of these lists, but I think that a lot of them are geared for older kids. Mine is definitely geared towards toddlers, which is good since I have a 3 year old and a one year old! Some of the ideas I saw on pinterest- like the make your own car wash, tin foil river and giant bubbles. I made my own list and then rounded it out with some other ideas I've seen floating around. 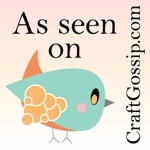 I especially liked this list form The Crafting Chicks. I had my summer fun list printed at Costco, since I was ordering a few other enlargements anyway. It's an 8x10 and was just $1.89 (mine has a matte finish). Then I cut a piece of foam board to mount my picture on. I put some tape around the edges of the board so that it looked a little tidier. Foam boards not so easy to cut, so my edges were a wee bit jagged! You could use ribbon too. Then I just covered the front of the foam board with a light coat of Mod Podge and stuck my list on top of it. Looks like we're going to have a busy summer! If you'd like to download this list click here. (For personal use only please.) Let me know if you use it, I'd love to see how you display it. Please, please invite ME to pinterest. I think I could easily become obsessed. Love the list of things for summer - what lucky children you have! Ok, you got me. The only reason why I'm not on pinterest, yet, is that I don't want to become obsessed with yet something else...but yet I seem to be thinking: "Oh, if I had pinterest, I could just pin this pic or that pic!" So, can you please invite me? 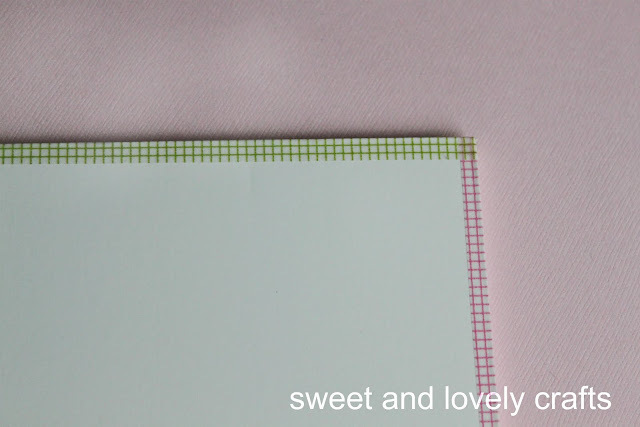 Your summer printable looks so darn professional - awesome job! okay, I don't know where you've been all my life but you are fabulous! This printable is perfect! I quick hopped over and looked at your boards and don't have time now so I followed all of them! Definitely a new followers! This is adorable and you have some awesome things on your list!! I would love if you could link this up to my Delicately Constructed Friday!! Thanks so much! I love the colors you used. I think summer lists are just the best! That is such a great idea! I see quite a few things on your list that we're doing this summer too. There's just so many great summer things to do and so little summer time (in Canada that is!). Looks like you guys have a fabulous summer in store. This is a super cute idea. Love the idea of a summer bucket list. Hey, it's Cathie's daughter Jill, I love your crafts!! I think I might try your letter/number framed art to give as a gift to my Brother and Sister-in-law when their son is born! just found you thru a pin on pinterest! love it! Such a cute idea and my kids are 5 and 2 so this is perfect! Thanks for the printable. You have such a great blog! Cute ideas. I have been hearing great things about pinterest! hi, can you send me an invite too. Thanks so much for the free printable. Very cute! I shared it will all my mommy friends. I love the idea. I'm going to make something like this tomorrow! I printed it and "displayed it" with a magnet on the back door. Clicked over from Dollar Store Crafts. I love your idea for this and I think I'll make myself something similar even though I don't have kids! Your blog is cute and I'll be back for sure. Lila, this list is awesome. It brings back tons of memories of summers in the 80's. I love this! I am featuring it on my blog on Friday! Hope you come by and check it out! can i have an invite? too cute!!! would love an invite!!! please!! Thanks for this!! Just what I was looking for!! If you would be wonderful I need an invite to Pinterest (I puruse it daily!!). Alyssa_j_s@hotmail.com thank you!! I would love a pinterest invite. Love the list too by the way. i would love a pinterest invite. i love your ideas!! caleeanne@gmail.com I would love a pinterest invite. Would love an invite to pinterest! I wish I had seen this at the beg. of summer. we start school on monday. I am thinking of making this for our 2012 year long cal. Maybe one thing a week as a fun goal? thanks for sharing this adorable idea! Please send me an invite to pinterest at becky6327@yahoo.com. Thank you. Love your site!